Northwest Nazarene University is the epitome of cadence and flow of student activities: dining three times a day, chapel three times a week, and the Wednesday evening Time Out. 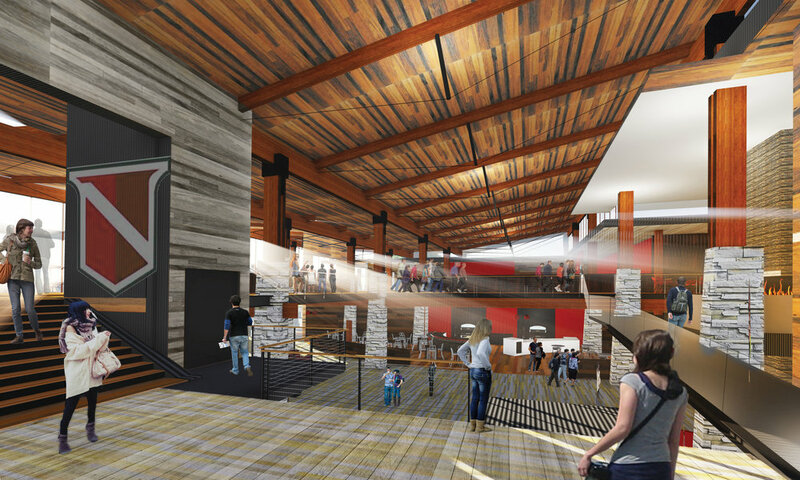 The Centennial Commons becomes a trigger point that captures these flows as it unifies the NNU experience. 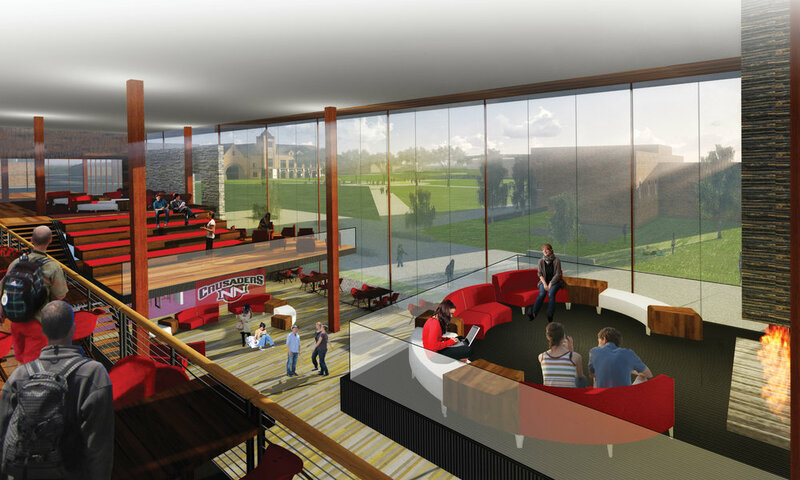 Dining would relocate to the second level to allow a more effective flow for student engagement as it radiates energy throughout the rest of the union. Ground floor activity space permits visibility and stimulates student engagement with a centralized fireplace and lounge areas for gathering, storytelling, and innovation. 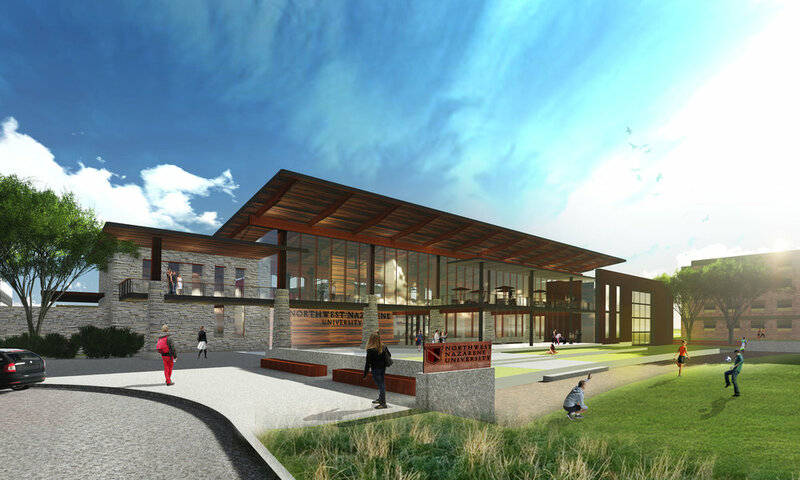 Designed with a palette of wood and steel to ensure an updated, Northwestern sense of place, Centennial Commons' second floor views the mountains and the athletic field to the South. Creating its own dramatic, internal vistas that emphasize student engagement, the “lily pad” above the central hearth adds an internal view of reflection.